This week, I thought I’d share the recent books I’ve acquired. I don’t know if I’m more excited about Station Eleven or The Night Circus. I ordered Night Circus from a used bookstore in England through the HPB Marketplace because the British hardcover has black edged pages and a ribbon bookmark…how could I say no to that? They each have a high reputation to uphold, so I’m anxious to see if they live up to the hype. But so far it’s been a great pre-Christmas haul. Now to the reviews. 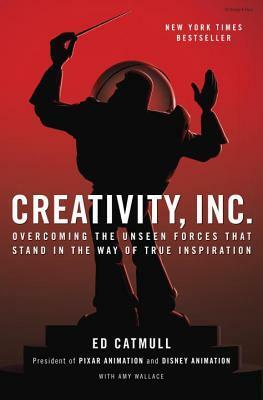 The overall arc of the book traces Catmull’s growth as a leader through the development of Pixar over almost four decades. Even though he makes it clear that is isn’t the purpose of this book, there is a lot of behind the scenes stuff about how Pixar operates. I loved peeking behind the curtain at various problems that came up during the making of Pixar films. If you are a manager of creative people or a Pixar fanatic, there is a lot here for you. Catmull also speaks at length about Steve Jobs. It’s a really different and lovely perspective by someone who knew Jobs in both business and as a friend. So if you are fascinated by the original Apple genius, read this just for that cameo. Finally, I think there’s a lot of wisdom in this book for general creative people about how to create for income without losing your passion. I don’t have to mention to any of my artistic friends that it’s hard to make a living creating art you love. I think Pixar does this well and has an enviable corporate structure that aims to protect creative expression. It’s nice to hear a manager work to make an environment where the artists and storytellers are able to thrive. Read this and be encouraged–and maybe get some ideas as well. The title and cover of this book are the only reason I picked it up. 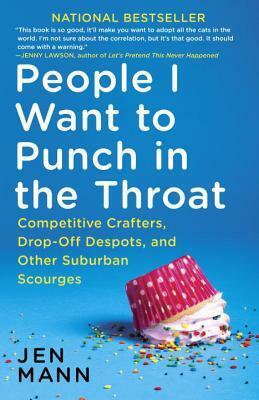 Sad cupcake, bold statement in the title–a winning combination, right? Sadly, not so much. Apparently this short series of essays is by the author of a very popular blog by the same name that I’ve never read. That seems to be a mistake for this book. I felt like a little kid who moved to a new school mid-semester. Everyone else knows the rules, everyone understands the teacher’s quirks and how the daily schedule goes while I, as the new kid, felt totally lost. No one ever caught me up. I had to find the blog and read up on Jen before I really got it. This collection has funny parts, for sure, but I felt like I was behind on all of the humor because I wasn’t coming to it as a familiar reader. If you love the blog, this is more of what you already like. Personally, I enjoyed Jen’s cynical take on the suburbs and sarcastic humor more in blog form than I did when I read her stories straight through.